Video marketing is taking over, so if you’re not on board already, it’s time to get moving. Talk to us about creating a video for your brand, product or organization. The power of video in today’s noisy online environment is of great importance. Capturing your audience’s attention can be a battle. You need to have content that engages them – fast! So if you have something to say, there’s no better way to tell it than using the power of VIDEO. As you can see in the videographic, a video can hold your viewers’ attention better and can make them stay on your website longer. Your story will be much more engaging. And it’s more likely that they will buy your product. People just love video! Video is the best way to invest your money. So give us a call today and we’ll be happy to discuss your video production requirements. 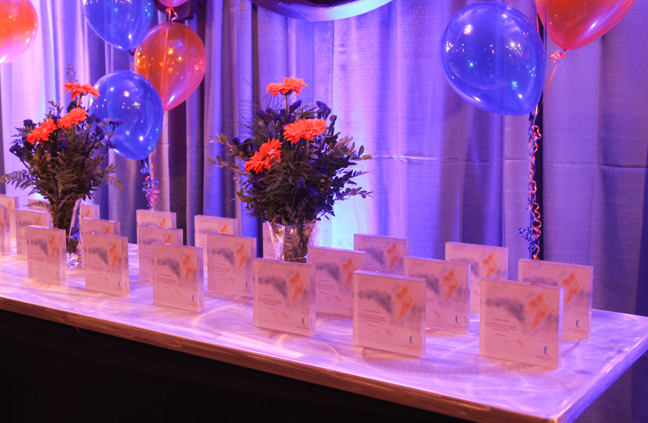 Ten years of research: April marked the 10th anniversary of The Alberta Centre for Child, Family and Community Research (ACCFCR). We have been working with ACCFCR since day one, and we have enjoyed every minute of our collaboration. 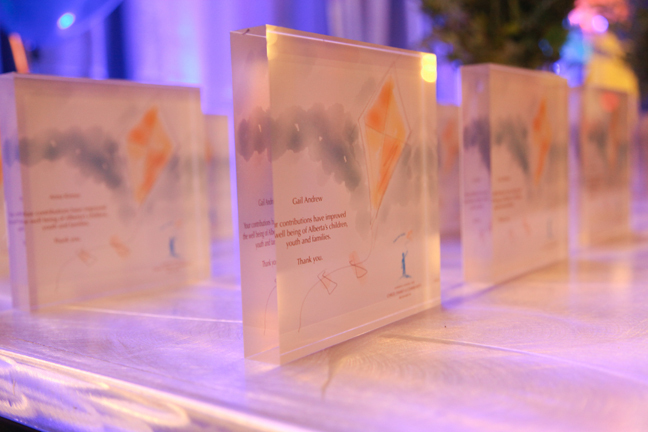 To commemorate the occasion we designed a special award that was presented to 87 researchers who have played an important role in the success of The Centre over the past decade. We utilized an existing product by Instacanvas in California to create a unique and individual ‘prism’, and with their help we were able to produce something for each researcher to treasure. Internet video content is booming, and thanks to advancing technology, access to online video has never been easier. A good example is the social media powerhouse of YouTube: at present there are over 500,000 hours of content hosted on their servers alone, of which around 4 billion hours of video are watched each month and the equivalent of three days of video are loaded every minute. Businesses are beginning to understand the huge benefits and are harnessing the power of online video every day. Multi-national corporate companies to ‘mom and pops’ have their own online TV and video networks. Enhance your website. Video looks really cool on your website. Simply direct clients to your URL and immediately they can see an impressive high-definition quality video about your company. In less than 120 seconds, they have a taste of what you can offer them and why you are better than your competition. Video can captivate your audience and keep them on your site longer, generate sales leads and interest in your services. Product demos. Video is the perfect way to capture how your product or service works. Potential clients will gain a better understanding of your company in just a few minutes. If your product or service is detailed you can create a short video overview to generate interest and provide a library of other videos that explain everything in more detail. Education and training. ‘How-to’ videos are a great way to keep customers and staff informed of the developments in your organization. These could be product updates, a new service or even training on how to use a specific product. It’s also a perfect way to tell good news stories, creating your own positive press via the use of video is an excellent way to build morale internally and raise your profile in your industry sector. Testimonials. For many years TV and radio advertising has been a great way to generate business. Local TV news and radio stations still remain powerful outlets to purchase time. But most businesses can’t always afford this luxury. This is where recording customer experiences are a great way to start advertising your business. When the project is complete, and your customers are satisfied, record their experience in the form of a brief testimonial and project profile. They will be happy to say how your business was better than your competitor or how you went the extra mile to ensure their satisfaction. The emotion of a personal testimonial can’t be captured in the written word so recording them on video is more effective. Generate revenue. Let’s face it, we are all in business to make money. Major online video sites are constantly cutting deals with video content creators. They are looking for the next great thing to generate millions of hits on their sites so in they can charge advertisers or sell subscriptions. There is a trend that is slowly moving away from broadcast television. The internet has created a level playing field for aspiring actors, producers or singers. For example, via YouTube, you can allow them to place ads at the beginning or the bottom of your videos. The more hits that your video generates, the more they pay you. But you have to remember, you will need millions of hits to make a nice living from this. Sales support. For many years, sales teams have been armed with leave-behind materials like pamphlets, brochures and even a DVD video copy of your sales pitch. You can save time and money by having your sales team direct clients to your sales videos. SEO (Search Engine Optimization). As soon as you upload your video to hosting sites like YouTube and Vimeo they give you an opportunity to add keywords in the video description for added search engine optimization. Nowadays, video is heavily integrated in the search criteria on the web, and this is probably the main reason to add video content on your site. If you immediately start creating content, posting it to your site and optimizing, you won’t see results right away. It takes time for the tags and keywords to populate the major search engines. Social media. Your organization probably already has a social media presence. Maybe you have a Facebook page and a Twitter account, if so, these are cost-effective methods to promote your business by distributing links to all your online videos. Also, the more you publicize your videos via social media networks, the more hits you will get resulting in higher SEO rankings. Thanks to social media, video has rapidly become another tool necessary in the marketing world. For more information visit our website: http://www.asquaredcommunications.com or call Andy on 780.907.1445 to discuss your video production requirements. We produce videos for the real world that are creative, effective and on budget. If you have any video production requirements, please give us a call 780.907.1445 – we’re here to help you. 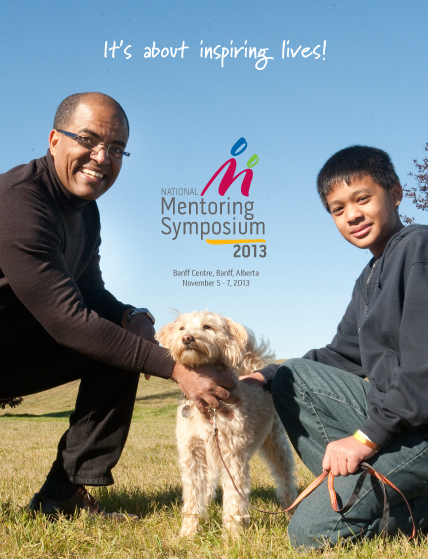 We recently completed the logo and branding design for the National Mentoring Symposium to be held in Banff on November 5 -7, 2013. The logo represents an adult or youth and a younger child formed from a letter ‘M’ combined with the use of bright, positive colours. The logo can be used with type or without as a simple icon depending on its use. A horizontal version was also created for use on banners and certain signage items. We will be working on all signage material, promotional posters and literature in the time leading up to the event. 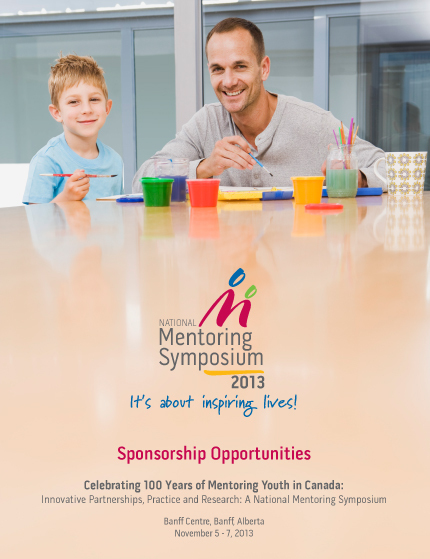 This symposium will celebrate 100 years of mentoring across Canada by showcasing innovative mentoring partnerships, practices, programs and research and by setting the stage for mentoring in the future. Big Brothers Big Sisters of Canada (BBBSC) and The Alberta Mentoring Partnership (AMP) are working together to co-host the first ever national conference on mentoring. 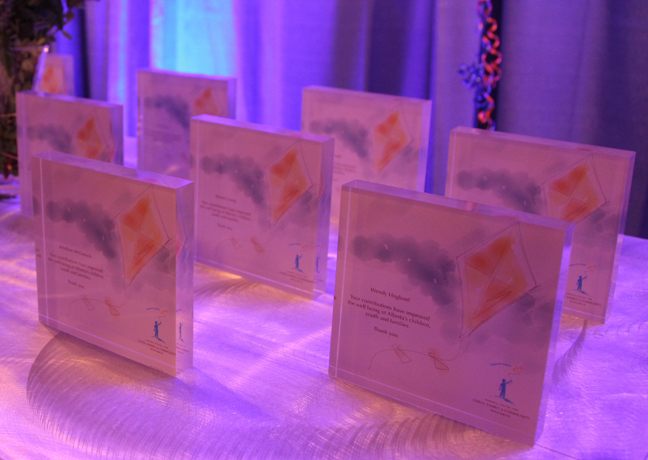 The event will strive to advance the unique contributions of mentoring to the well‑being of children and youth, volunteer mentors and communities across Canada by highlighting innovative partnerships, promising practices or programs and the state of the research. We will also be live webcasting the entire three day event. More details on this to follow soon.